Rome, Italy – June 5, 2017:​ Freeda Srls announces 2 styles of Freeda Watches, the Plano and SS36 Gran Turismo on KickStarter. 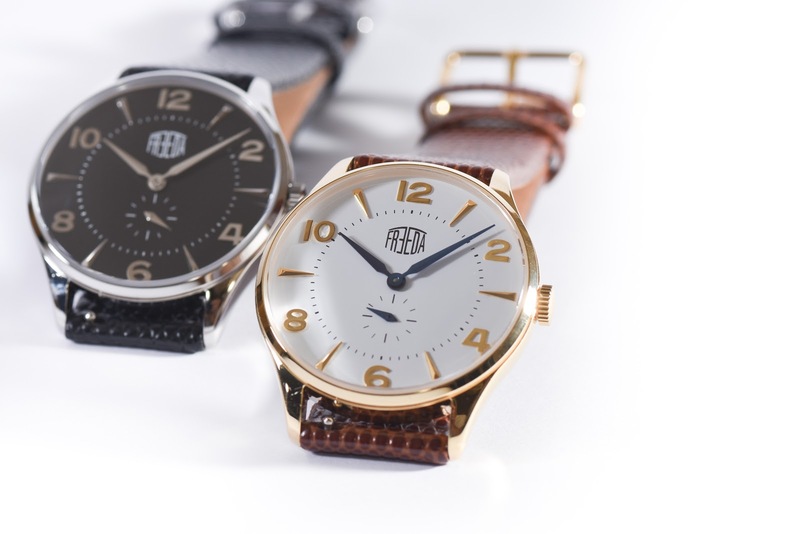 These luxury vintage watches are inspired by 1960 italian style (Dolce Vita) fully customizable, at a fraction of the price. From the box, to the design shapes, colors, patterns and materials. User Experience. ​The watch it is contained into a burgundy leather vintage box with a long and slim shape, decorated with a luxurious gold “Freeda” logo on the bottom right side and an elegant line on the edges. Opening the box, the watch immediately contrast toward the light textured leather-padded background. The timepiece, gracefully stretched, can be admired as a whole while your eyes move from the hands to the dial and the leather strap. The Plano, subtle and refined, marks the return of a classic and comforting style playing on the duality of eccentric materials and details from high watchmaking. A companion to wear with “studied casualness”, synthesizing a charmy taste for tradition. And the SS36GT, sporty elegance supported by powerful and decisive lines, without compromising functionality. SS36GT ensures perfect versatility, from the street to the worldly event, the colors contrast, inspired by Gran Turismo races of the 60’s, ensures excellent readability, paying tribute to its racing soul.